The Queen Elizabeth II Graduate Scholarships in Science and Technology (QEII-GSST) Program is designed to encourage excellence in graduate studies in science and technology. The program is supported through funds provided by the Ministry of Training, Colleges and Universities and by funds raised by the University of Toronto from the private sector. 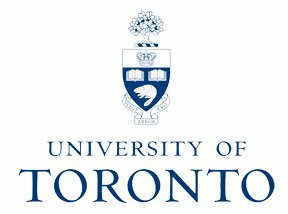 Be either Canadian citizens or permanent residents who plan to enrol full-time in research master or doctoral program in science and technology at the University of Toronto (eligible disciplines are provided below). Exhibit overall academic excellence. For applicants entering the 1st or 2nd year of graduate studies, they must have an average of at least A minus, or the equivalent, on the last 20 one-term/semester courses or the equivalent completed. For applicants entering 3rd year or beyond of graduate studies, they must have an average of at least A minus, or the equivalent, on all graduate courses completed. Also exhibit research ability or potential, excellent communication skills, and interpersonal and leadership abilities. Not be pursuing a professional Master program (e.g., Master of Engineering, Master of Forestry Conservation, Master of Mathematical Finance, Master of Science in Planning, Master of Heath Science, etc.). Be in good standing with OSAP. Applicants who have defaulted on a Canada or Ontario Student Loan or a loan made under the Ontario Venture Capital Program, or have failed to make satisfactory repayment on an Ontario Study Grant overpayment, may be ineligible. The award is given for one academic year at a time, which may consist of two or three consecutive terms. The award is not automatically renewed; students must apply annually. Master’s students can receive the scholarship for a maximum of two years and doctoral students for a maximum of four years, subject to a lifetime maximum of four years per student. Master’s students are not eligible for a QEII-GSST after two years of study at the master’s level, and doctoral students are not eligible for a QEII-GSST after five years of study at the doctoral level. Applicants are required to submit a completed U of T OGS online application to the graduate units sponsoring the program (most departments in the physical and life sciences have QEII-GSSTs). Please refer to the competitio​n guide for further instructions. Some applicants in the Faculty of Medicine may be required to submit a paper version of the OGS application and ​​a separate set of references. Referees should use the Academic Assessment Report provided by the Faculty of Medicine and submit it in a sealed envelope. Deadline is on Tuesday July 3, 2012. Please check with your graduate unit in early spring in order to verify their deadline for a given competition year. Upon confirmation of eligibility by SGS and the Enrolment Services Office, successful candidates will receive an official award email from SGS on behalf of the Province of Ontario, along with a link to review the Terms and Conditions of the award and the Faculty Advancement Office contact sheet. The payment schedule can also be found within the Terms and Conditions document. Hold the award at the University of Toronto. Be enrolled as a full-time graduate student in science or technology. Repay the award if s/he is in full-time attendance fewer than 14 weeks in any term, transfers to another graduate unit, withdraws or changes to part-time status. Not be enrolled in a qualifying or “make-up” year or be on a paid educational leave or sabbatical. Only hold other awards up to a total of $10,000 per year, but cannot hold an Ontario Graduate Scholarship (OGS) for the same year of study in which they hold an QEII-GSST.